2014 marks my 21st year of owning my studio, working as a commercial photographer in the field of advertising. Over the last 32 years I have had the opportunity to work with many Fortune 500 Companies and many of the top Advertising Agencies. While I have mastered all areas of portrait, studio and location photography with every process ranging from analog to digital, I'm now resurrecting the lost art of making handcrafted photographs. 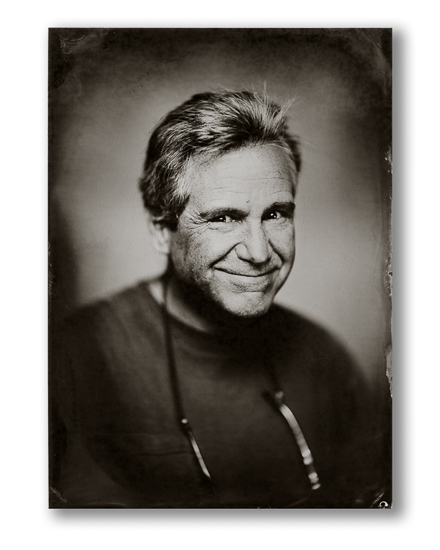 This process requires rare, specialized photographic equipment to create dramatic one-of-a-kind, heirloom photographs. You will literally see the images I make materialize onto glass with a unique type of sharply-focused resolution and lighting that cannot be replicated by digital imaging. As a 9 year-old, I developed my very first picture. That experience of seeing an image develop before my eyes changed my life forever. Come have your portrait taken - or share the experience with your loved ones.